When you see one of the world’s most charismatic species suffering due to human-produced pollution, you might want to respond with action. And in 2018, Southern Resident orcas received widespread attention as a mother whale carried her dead calf for an excruciating 17 days. The Southern Resident orca has been listed as an endangered species since 2005. Similarly, their main source of food – Chinook salmon – are similarly decreasing across Washington state due to human activity. Whale Scout, non-profit founded in 2013, aims to provide a way to connect a love of whales with hands-on conservation. Whale Scout has a mission to “protect Pacific Northwest whales through land-based conservation experiences”. 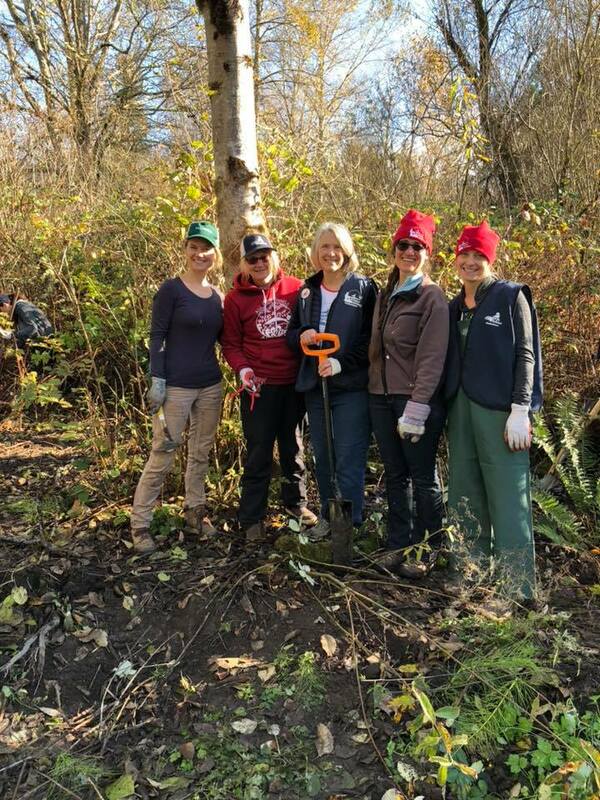 Conducting beach clean ups and tree canopy enhancement projects throughout the Puget Sound region Whale Scout is working to improve salmon habitat on behalf of orca conservation. This year Whale Scout will host 13 helping out ‘Whale Scout Helpin Out’ events to strengthen the ecosystems impacting local rivers and streams. Through their advocacy and ecological restoration, Whale Scout hopes to educate the public about these marine species as well as the actions we can take to protect them. Bear Creek in Redmond, Washington, is one of many project locations Whale Scout has worked on in partnership with volunteers and other leading organizations. 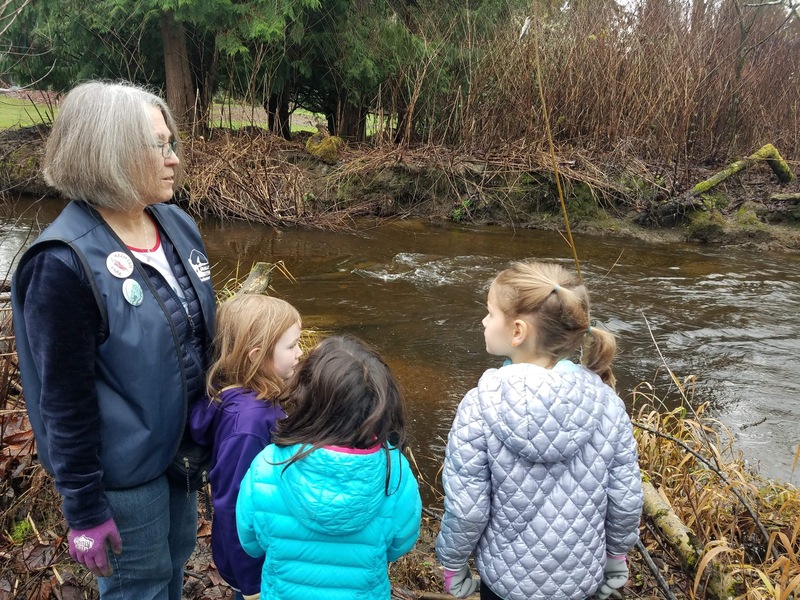 Historically a spawning site for Chinook salmon, Whale Scout has partnered with local Redmond homeowners to conduct salmon habitat restoration on Bear Creek along their private property. This project has also received support from other local organizations like the Seattle Aquarium Youth Ocean Advocates who are similarly passionate about marine conservation. After removing harmful invasive species like Himalayan Blackberry, English Ivy and Knotweed from the riparian zone, Whale Scout hosted a public tree planting event on Orca Recovery Day. Providing tools and snacks, the event had great turnout including Redmond residents and volunteers all the way from Duvall. Whale Scout project leaders and volunteers successfully planted 40 trees and native understory plants along 150ft of Bear Creek! With continued habitat improvements near riparian zones, Bear Creek has the potential to become an active Chinook salmon run once again, creating more food for orcas. An abundance of scientific research highlights the shared connection between trees and salmon, identifying a mutually beneficial relationship. Trees are vital to salmon and likewise, trees depend upon salmon. Trees and salmon participate in a nutrient exchange and in this process strengthen streamside ecosystems, benefitting surrounding vegetation and wildlife. Tree canopy enhancement along Bear Creek will additionally benefit Redmond residents, improving water and air quality while also preventing streambank erosion. 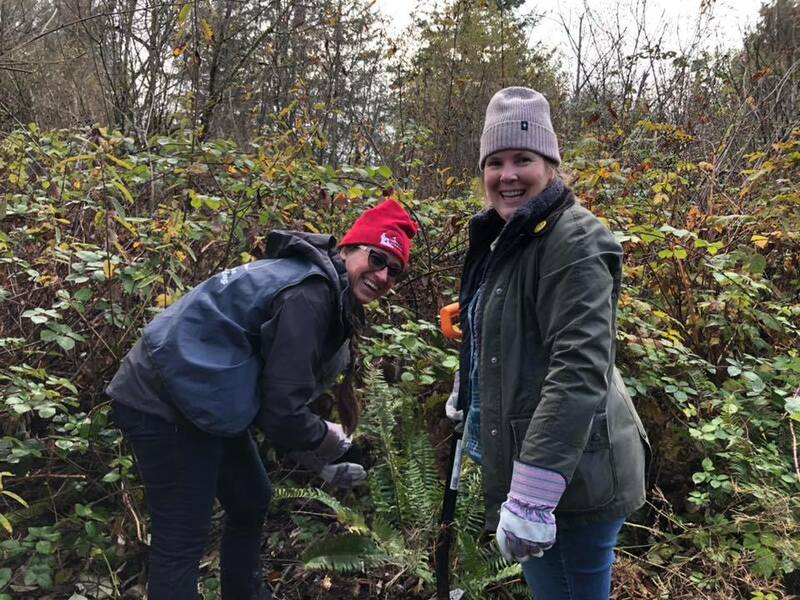 Whale Scout’s tree planting events are helping to engage our communities in local environmental issues, allowing volunteers to get their hands dirty and recognize the vast impacts of nature in our own backyard. Whale Scout is a 2018 grant recipient of the Planting Trees for Thriving Communities program. Learn more about Whale Scout or volunteer at an upcoming event!